Gene Gould is taking his place as successor of the most famous classical and impressionist painters. 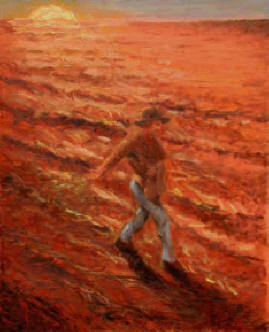 Here is his version of "The Sower", a recurring theme in the works of Millet and Van Gogh. Note how Gene Gould's painting (right) both relates and differs from those of his predecessors (left).